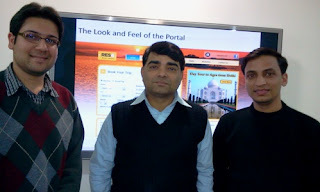 This is last session picture at Amadeus India, on the day of completion of on-site Digital Marketing Training and Consulting at their Gurgaon office. Post I started conducting this Digital Marketing Training and Consulting at Amedeus India, the web team is feeling Self Sufficient and highly empowered when it comes to Search Engine Optimization and Search Engine Marketing. Teami is institute of MBA, Journalism, Media and Entertainment in Bangalore.Taami is leading institute among digital marketing and media entertainment.Teami offers Masters in digital marketing courses and ensures placements for their students. My name Is devesh pratap singh. I am a student of BCA final year. I would like to tell you something about coin genesis. Coin genesis is the best institute for learning digital marketing. Their faculty members are very cooperative and experienced too. So I recommended to all. digital-marketing-training-in-delhi..